Autumn Sykes is a Licensed Massage Therapist and Level II Reiki Practitioner. 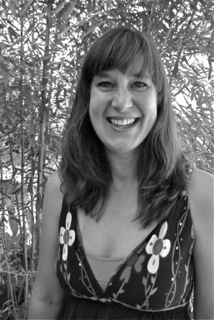 She has been practicing massage since 2002 and Reiki since 2006. Her integrative style of relaxation, deep tissue, trigger point and Reiki helps restore balance to the body, mind and spirit of the client. At her previous solo practice, In Tune Bodyworks, she treated musicians and workers who have physically demanding jobs with stress and repetitive use injuries. Her work also focuses on treatment for people who have been injured in Motor Vehicle Accidents, and she works with PIP insurance. Autumn also works at the Aladdin Theater, where she enjoys her music and entertainment community. She loves gardening, cooking and spending time with her friends and family. She has a deep interest in nutrition and the healing power of foods. Autumn is delighted to join the wonderful therapists at Equinox, and is very excited to continue her journey of helping others through healing touch.